Schitsu’umsh (Coeur d'Alene) hnkhwelkhwlnet "our ways of life in the world"
Aligning the "What" and the "How"
a! huy, his’laqht Hello, welcome my friend, . . welcome to our interactive 3-D Landscape. Are you, as we, concerned about climate change? Are you interested in learning from a community who has been successfully adapting to its dynamic landscape for over tens of thousands of years? If so, we have something special to share with you. And invite you to participate with our elders as we gather one of our traditional roots. We seek to convey to you the meaning and significance of one example of our Schitsu'umsh (Coeur d’Alene) Indigenous knowledge and practice. Our term for this knowledge and practice is hnkhwelkhwlnet “our ways of life in the world.” Embedded within our hnkhwelkhwlnet are the core values and teachings, the miyp, “teachings from all things,” that have guided us since time immemorial. 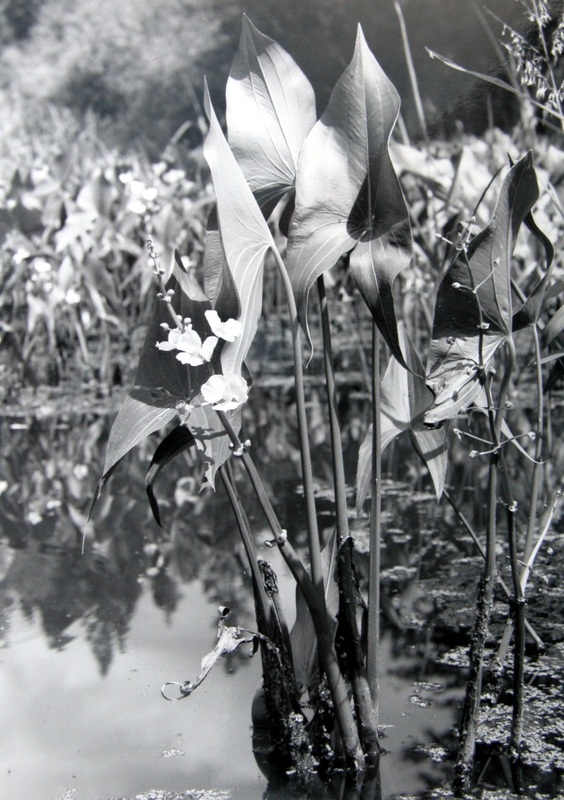 The particular focus will be on the miyp associated with one of our traditional root foods, called sqigwts (also known as Sagittaria latifolia, broadleaf arrowhead, duck-potato, wapato, Indian potato, and water potato). 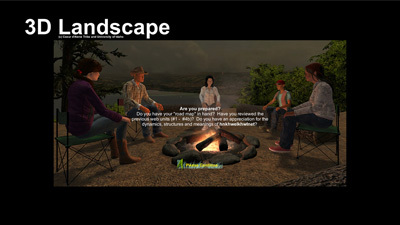 You will be joining us through an interactive 3-D Landscape, with the accompanying web pages of this module. This is a presentation of our Indigenous ways that seeks to retain the authenticity and integrity of hnkhwelkhwlnet, providing an opportunity for general public sharing, for educational applications, and for understanding how we have engaged our dynamic landscape throughout time. With the rapidly changing and ever more volatile world landscape, we seek to demonstrate the applicability of hnkhwelkhwlnet, in consort with science, in initiatives and policies addressing climate change. As an Indigenous people, we the Schitsu’umsh can offer invaluable teachings and insights for us all. To view a short introductory video of the project. In an effort to render Schitsu’umsh hnkhwelkhwlnet accessible to the scientific community and in particular to researchers addressing climate change, we are linking this 3-D Landscape module with an International Organization for Standardization (ISO) digital-based metadata repository. For additional background on ISO and the challenges we faced in linking our hnkhwelkhwlnet with it, see Representing indigenous knowledge products in ISO 19115.pdf. Of prime importance, the hnkhwelkhwlnet shared here is intended for the future generations, that they may walk their landscapes filled with beauty and health. We have included curriculum that can assist students and professionals alike in furthering their understanding and appreciation of our ways of knowing and doing as we confront the challenges associated with our dynamic landscapes. We see the great value in acknowledging and advocating that both Indigenous and scientific ways of knowing and doing are indispensable, each working to complement the other, each providing insights that can address climate change. With a focus on sqigwts/Sagittaria latifolia, and in the context of climate change, we have provided three lesson plans on how to teach hnkhwelkhwlnet, on how to teach science, and on how to teach that both ways of knowing and doing can be effectively partnered together using the framework we call snukwnkhwtskhwts’mi’ls ł stsee’nidmsh “empathetic adaptability.” To view an introductory Sqigwts Poster.pdf of the project (8.5" x 11" printable). Note on Engaging this Module. We recommend before traveling the interactive 3-D Landscape (unit #5), please engage the "prelude" information. These "prelude" units are marked #1 thru #4b. These web pages were developed to provide the cultural context needed so you can more fully engage the 3-D Landscape. Only when so engaged is there the possibility that the miyp, imbedded in our hnkhwelkhwlnet and associated with sqigwts, can be revealed. You will be traveling over a new landscape, one that will likely be very distinct from any you have previously traveled, and having a "road map" in hand will assist in reaching your destination. But please keep in mind that a "road map" will not identify the "side roads," along which are the locations of that special smell from the flowers, taste from the berries, song of the birds, and feel of the wind coming off the lake. Be willing to explore. Experiencing the special smell and taste of the miyp await their revealing. To help you hear the song of the miyp, as you travel these web pages mouse over the text to hear the spoken snchitsu'umshtsn words. For information on our snchitsu'umshtsn language, see the Coeur d’Alene Tribe’s Online Language Resource Center and a pronunciation guide. Research and Review. This project sought to use "best practice" protocols and research design to develope a collaborative endeavor. See Protocol Final Sqigwts 10-30-15.pdf. Acknowledging the tribal sovereignty of the Coeur d’Alene Tribe, the information conveyed in this module was fully reviewed, based upon such evaluative criteria as trustworthiness (credibility and confirmability), authenticity (inclusion and acknowledgement of multiplicity of elder and collaborative "voices"), and appropriateness (to be shared publicly), and approved by the Coeur d’Alene Tribe’s Natural Resources Committee (August 4, 2015) and Culture Committee (August 14, 2015), and by the Tribal Council, in a unanimous vote (September 9, 2015), for public dissemination. What is about to be shared with you is only the cultural knowledge and practices appropriate to be shared publicly. There are aspects of hnkhwelkhwlnet that should remain only with Schitsu’umsh families and Tribal members. To view the legal protocol that governed the "Schitsu’umsh Relationships with Their Dynamic Landscapes: Identifying, Managing and Applying Indigenous Knowledge and Praxis" project, see Inge and Stevenson Intellectual Property and Traditional Knowledge Agreement.pdf. This is a protocol that protects the intellectual property and traditional knowledge of the tribe, while assuring a path for collaborative research. To review the inspection of this project Framing the Project.pdf. To review the chronology of this project Chronology of the Project.pdf. See preapproval of research Tribal Council Resolution Sqigwts (2014).pdf (July 17, 2014). 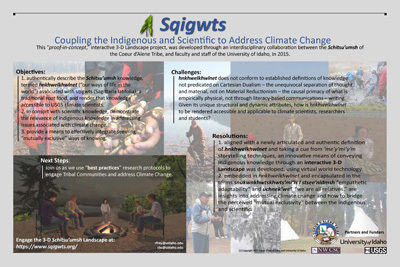 See final approval of the Sqigwts research project Tribal Council Resolution Sqigwts (2015).pdf (September 9, 2015). Following the sign-off on the terms of the legal protocol by the Coeur d'Alene Tribe and the University of Idaho, research for this project began on May 11, 2015 and concluded with the Tribal approval. As a "proof in concept" project, this module is a first step initiative, a "work in progress," toward an even more effective way of conveying what we hold most cherished. Collaborative Team. This project is the result of a collaboration between the Coeur d’Alene Tribe, the University of Idaho, the Northwest Knowledge Network, and the USGS - Northwest Climate Science Center. See Acknowledgements for a listing of specific team members. Funding. Funding for this project was provided by the Department of the Interior Northwest Climate Science Center and the USGS National Climate Change and Wildlife Science Center, in Cooperative Agreement # G11AC20490. The contents of this module are solely the responsibility of its authors and do not necessarily represent the official views of the USGS. Contact and Conversation: Your comments and questions are most welcomed and appreciated. Please contract: info@sqigwts.org. Join the conversation and share ideas with us on the Sqigwts Blog. Copyright: Coeur d’Alene Tribe and University of Idaho 2015.